Micropayments startup SatoshiPay has announced it intends to phase out its use of the bitcoin blockchain as the underlying technology that enables its transactions. Announced today, SatoshiPay has partnered with the IOTA Foundation, a non-profit that oversees network development, to explore replacing bitcoin with IOTA as its settlement network. 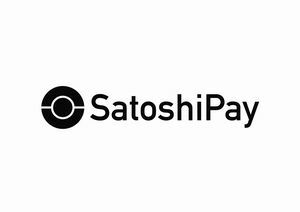 SatoshiPay has been relying on the bitcoin network to settle payments since its product launch in 2015. Still, in that time, the economics of the bitcoin network have undoubtedly changed. According to CoinDesk's forthcoming State of Blockchain report, the average transaction fee was around $2.41 per transaction during Q2, up from below $0.02 in 2015. "We love bitcoin for its pioneering role in the creation of our industry, but some blockchain networks it inspired have evolved faster than bitcoin itself, so we decided to move on to superior technology." The IOTA network, the 8th largest cryptocurrency by the total value of its supply, by contrast, claims zero-fee transactions and does not limit the number of transactions per second of its processing, features the IOTA Foundation said make it unique among available cryptocurrencies. According to a blog post, the IOTA Foundation and SatoshiPay agreed to work on a proof-of-concept project, to be supported by the IOTA Ecosystem Fund, which would combine SatoshiPay’s content payment interface with IOTA's technology. The results of the joint proof-of-concept are expected to be presented in August 2017, according to the IOTA foundation. Notably, SatoshiPay is not the only startup to switch from bitcoin to another blockchain because of issues with the escalating costs of micropayments. In May, blockchain content startup Yours announced that it would switch to the litecoin citing similar concerns.